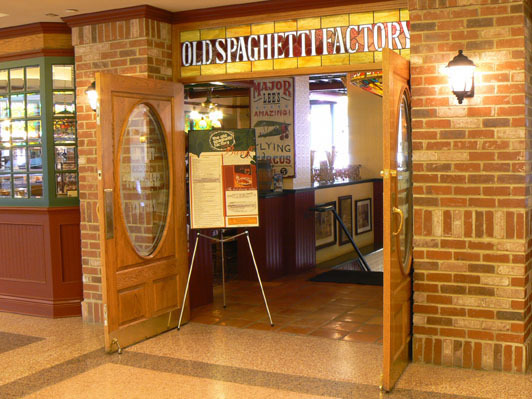 The Old Spaghetti Factory - What they say... TaxiMike - Great for the family. Dinner includes bread, soup or salad, ice cream and tea or coffee. Located on the 2nd floor, Cascade Plaza. 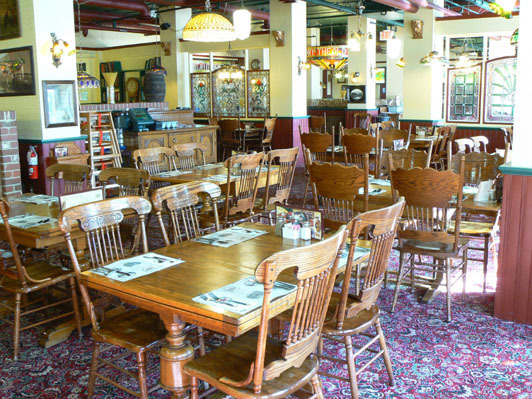 Dining in Banff - People have returned to The Old Spaghetti Factory time and time again to enjoy our great food in unique surroundings for over 30 years. All our meals are carefully prepared, and made fresh daily on the premises using only quality ingredients. 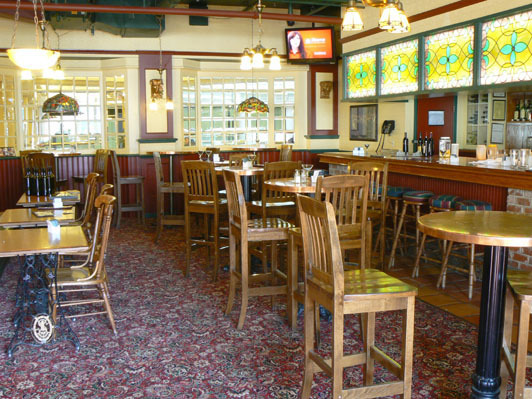 We pride ourselves by offering great food at reasonable prices. 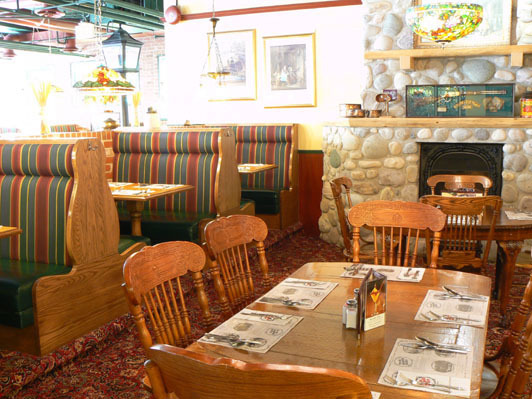 All our entrees come complete with Hot Sourdough Bread with Whipped Garlic Butter, Minestrone Soup or a Crisp Green Salad with choice of Homemade dressing, Spumoni or Vanilla ice cream for dessert and our own privately roasted Coffee or Hot Tea. All this at no additional charge. 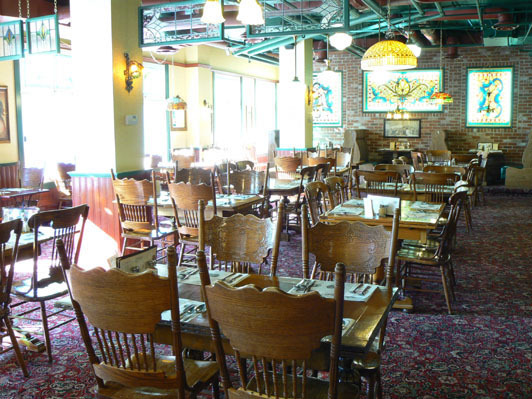 Without a doubt, The Old Spaghetti Factory is Banff's best dining value! 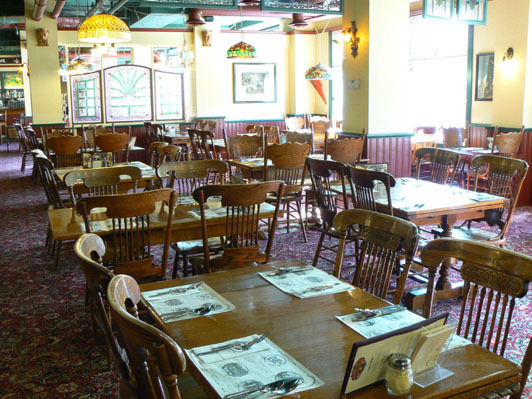 Virtualtourist.com - The Old Spaghetti Factory is a real cozy place to eat. It has good food and is not that expensive. 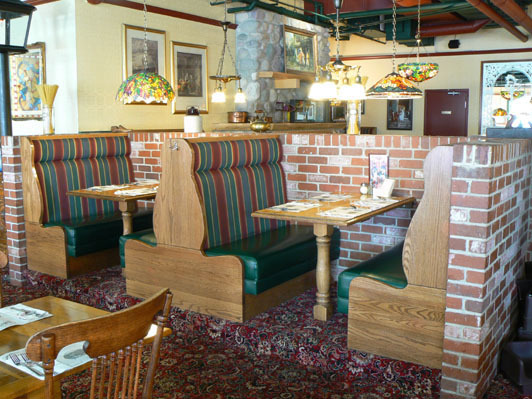 There is a wide variety to choose from, even if you are not a favorite of Italian food. But of course the Italian food is the best to eat there. I find the simple spaghetti with fresh bread very nice and the lasagne is pretty good too. But you'll see that there is much to choose from and it's all good tasting food. 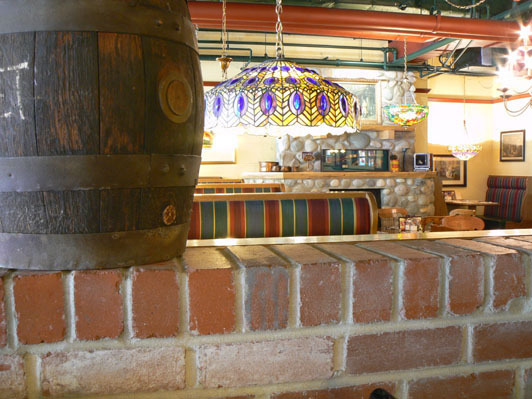 You can't really go wrong when you eat out at this place. 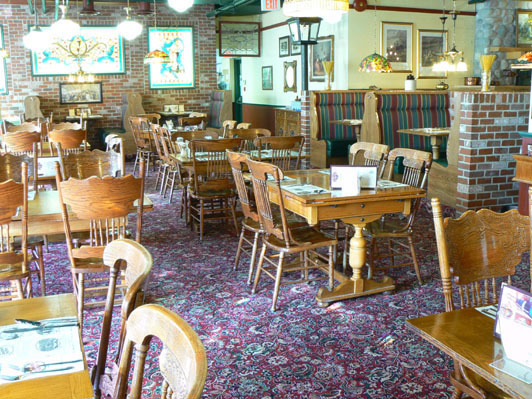 Travbuddy.com - The Old Spaghetti Factory is one of my favourite restaurants ever, so when there’s one around, I will eat there. Also, my sister worked there, so it was sort of a given that we’d go there to eat. It’s located on the second floor of the Cascade Mall, and if you get a table by the window, you’ll have a great view of the busy streets below. 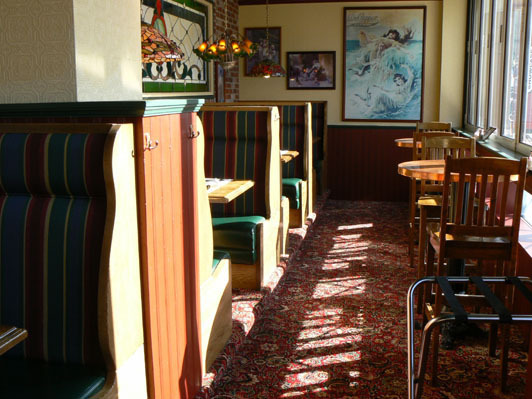 This is a super busy restaurant, so don’t be surprised if you have to wait for a table. The wait is worth it, though, as the food is great (you will be full when you leave, no worries about that), and the service is outstanding. I can’t say enough about the great people that work in all the shops and restaurants around Banff.